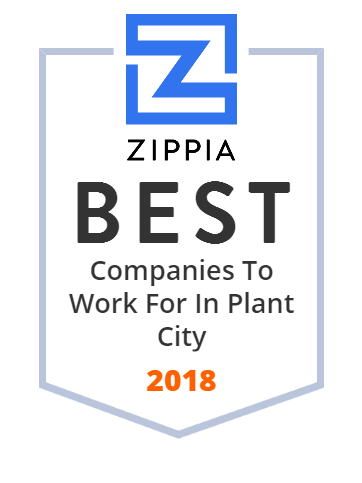 We hand-curated a list of the best companies to work for headquartered in and around Plant City, FL using data on salaries, company financial health, and employee diversity. We are proud to manufacturer and produce TOFU, Grilled TOFU, Mung Bean Sprouts, Alfalfa Sprouts, Broccoli Sprouts and other varieties of specialty sprouts. Year-round produce grower and shipper Wish Farms specializes in berries. Family-owned Wish Farms offers the highest quality in Florida. Sunshine Bancorp, Inc. operates as the holding company for Sunshine Bank that provides financial services to individuals, families, and businesses. The company accepts various deposit accounts, such as interest-bearing and noninterest-bearing demand and checking, money market, and savings accounts; time deposits; and certificates of deposit. Its loan products include commercial real estate and multi-family loans; one-to-four family residential real estate loans; commercial business loans, such as term loans, lines of credit, agricultural production, equipment financing, and revolving lines of credit; construction and land loans; home equity loans comprising revolving lines of credit, and term or second mortgage loans; and consumer loans. The company also offers debit and credit cards; treasury management comprising lockbox services; and remote deposit capture, ATM, safe deposit boxes, merchant debit and credit card transactions processing, investment brokerage, telephone banking, and online and mobile banking services, as well as invests in securities. As of April 17, 2017, it operated 18 branch locations in Brevard, Hillsborough, Manatee, Orange, Osceola, Pasco, Polk, Sarasota, and Seminole counties, Florida. Sunshine Bancorp, Inc. was founded in 1954 and is headquartered in Plant City, Florida.